Do you know what I had to do 16 years ago in order for me to be ready to have a great sales pitch when a possible customer phoned me? I printed off my ‘script’ which included everything I needed to say to offer the information needed in order to take my sales pitch one step further. This made me feel more confident and I sounded very professional which in turn furthered the prospect of me being able to offer a solution and sell my products and services. Always know what you want and need to say to the customer, don’t try and make it up on the spot. Questions are a big part of closing the sale, ask questions so you know more about the solution your prospect is looking for. You can’t suggest how you can help a customer if you have no idea what their needs are. In order to get answers to your questions don’t ask open ended questions which just require a ‘no’ or a ‘yes’. Show the customer you are interested in them and and not just closing the sale. This is called fact finding and it comes before you offer them the price. 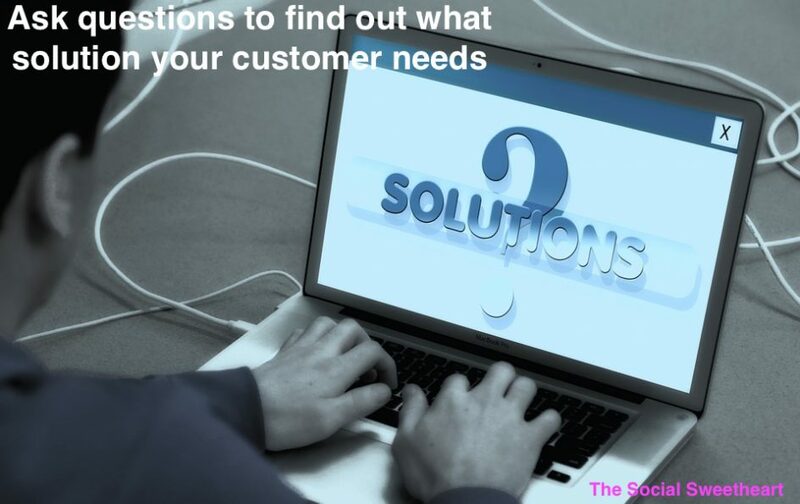 Knowing what solution your customer needs after your questions have been answered offers you the chance to share with them the how, why, what and when, along with how this benefits the them, such as saving time and money. This paves the way when you do share how much this will cost with them, because they know by now they need you and they don’t have time to spend searching for a better deal. You have made the process easy for them.